Guess what has just arrived at my doorstep? 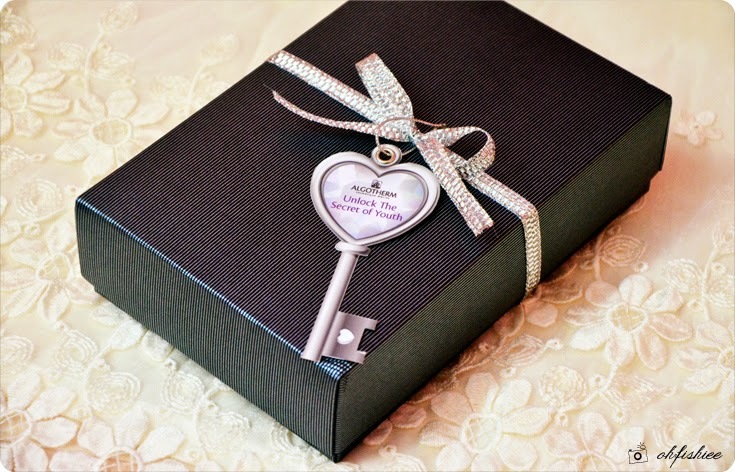 A mysterious box in black, with a key to unlock the secret of youth. I bet this is the saviour for every woman who has tired skin with wrinkles, fine lines and visible dark spots! 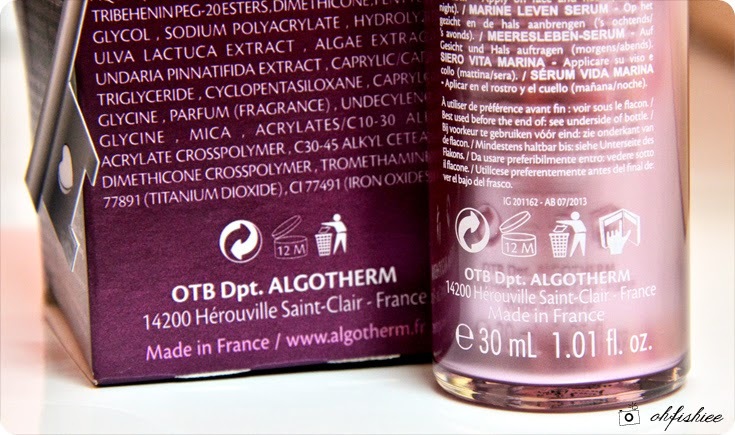 Algotherm is the French pioneer of the marine cosmetic and thalassotherapy spa science since 1962. With this premium brand, we can now enjoy the advantages of the pharmaceutical grade skincare, and specialized spa treatments. 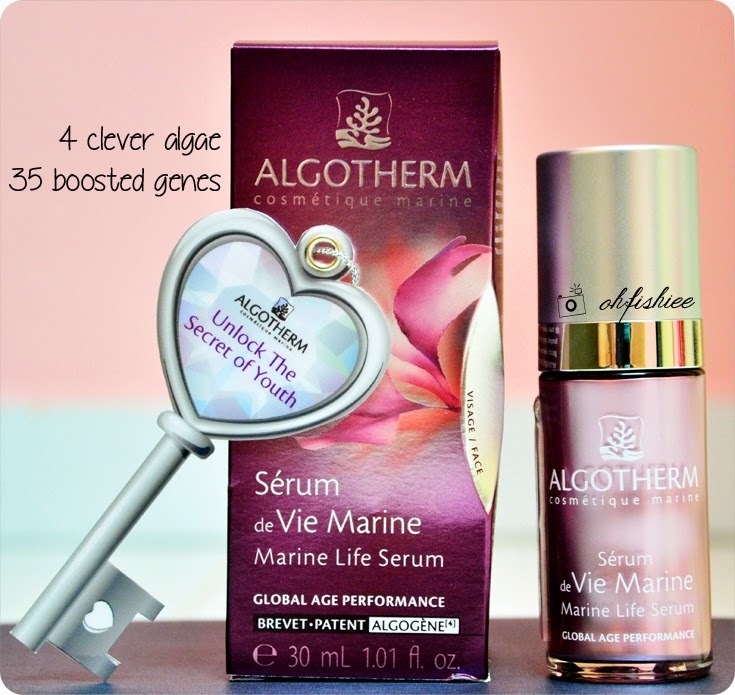 Recently, it has achieve its latest breakthrough in Marine Skin Anti-Aging Innovation – AlgoTime, and therefore introducing this product, Marine Life Serum to Malaysian market. 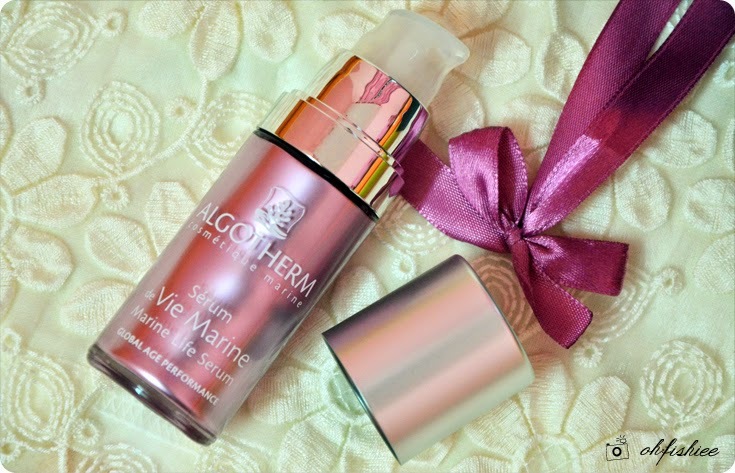 It is a powerful potion to reveal your young, baby-like skin again! It comes in a small pump bottle of 30ml, but well loaded with goodness from the deep sea. Here's brief description of the product. It promises us a smoother complexion, firmer facial contour, reduced dark spots and fine lines. But usually anti-aging products are extra sensitive towards light and heat, so remember to store it at a dry, cool place ya. 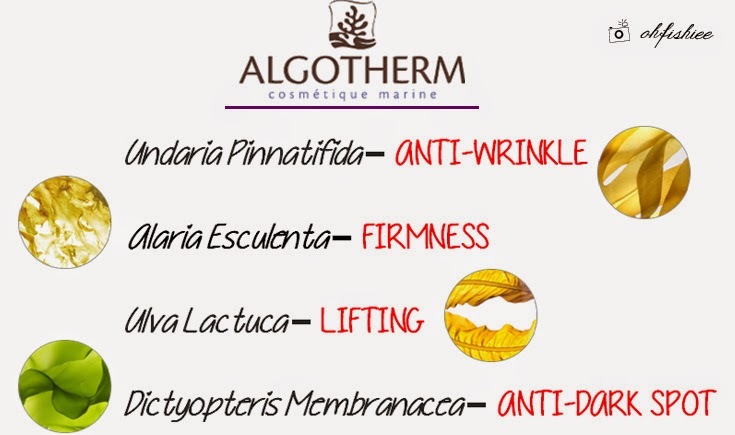 The unique synergy of 4 algae works together to restore youth gene activity, acting on all 4 issues simultaneously: ALGOGENE  PATENT to increase cell longevity and revitalize the skin. Now that I know Algae actually speak skin’s language! Do you have the same worries as me? Anti-aging products are often too concentrated and 'rich' for me, and I would have breakouts after a few times using them. 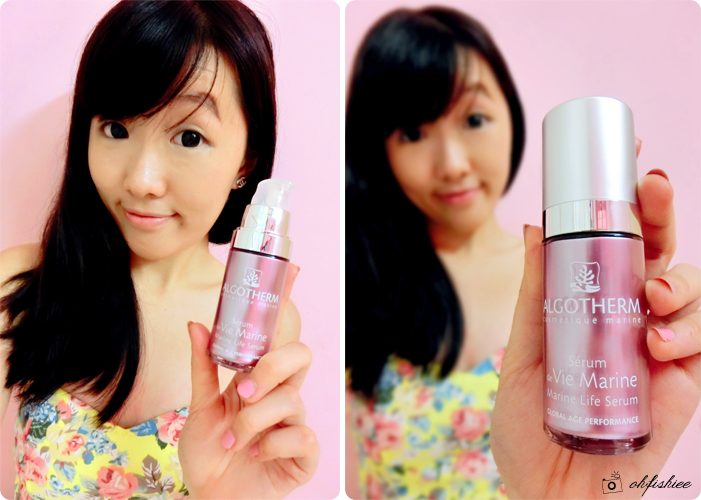 I was skeptical to try Algotherm at first, until I read about its high suitability for sensitive skin, so I decided to give it a try! The texture is surprisingly light, like a translucent gel boosted with high water content. On the skin, it feels slightly thicker than a water-based moisturizer, but much lighter than cream type. I only spread a small dollop (around 20 cents size) onto the entire face in an upward circular motion, creating a very thin coverage that makes the skin more 'breathable'. Considering the amount used each time during both day and night, a small bottle goes a long way! 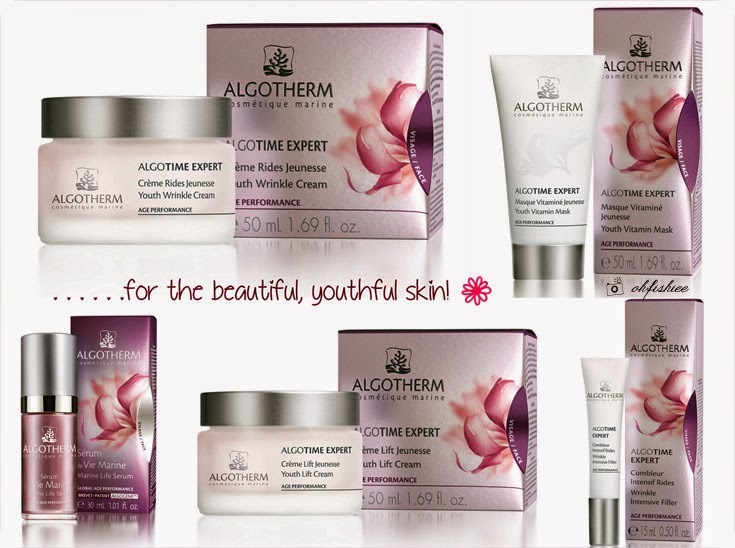 Here's the prodigiously effective AlgoTime anti-aging range. To achieve youthful skin, it is best to use the serum with its full range: Youth Wrinkle Cream, Youth Lift Cream, Youth Vitamin Mask and Wrinkle Intensive Filler. 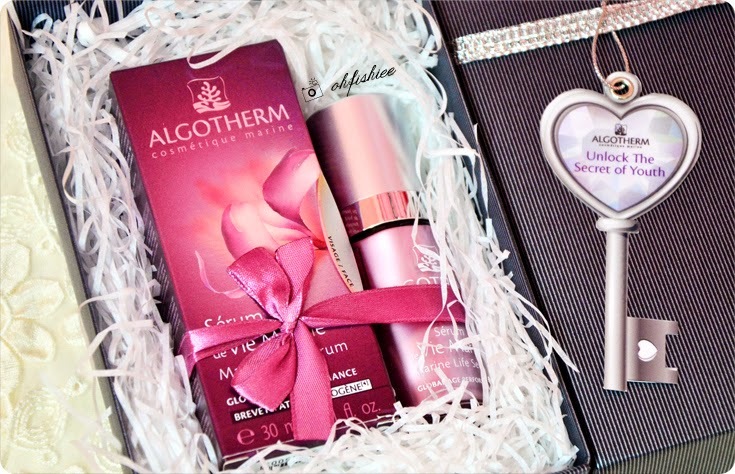 For more intensive treatments and immediate breath-taking visible results, 3 professional Algotherm Anti-Aging Treatments are available at Algotherm beauty salon/spa. Price ranges from RM180 onwards. Let's bid goodbye to wrinkles, saggy skin, slackened facial contour and dark spots! Welcome to the world of youthful faces!